hand made by participants of our Workin Canvas Business Enterprise. One of AHOY’s key aims is to train young people so they have the skills and knowledge ready to enter the workplace and be able to support themselves. 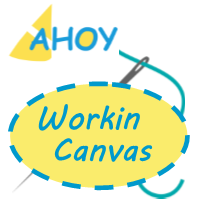 Workin Canvas is an engaging programme offering young people an opportunity to learn business enterprise skills by using recycled sails and canvas material and upcycling them into products. They will gain an understanding of business processes, from product brief and design, actual manufacture, input and output costing. Then marketing them to our corporate customers and private individuals. 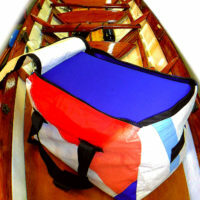 The first products to be produced will be our holdall bags and rowing cushions as part of our “rowing challenge product pack”. From there they will develop further products. All the income received will be ‘recycled’ back into providing further opportunities to train more young people. If your Company has a requirement for promotional products please let us know as we would welcome the opportunity to work with you. Thank you for your support. 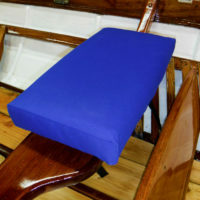 For more details and to purchase these unique accessories, please click on an image below.